Our watches come along with a unique box that is made of recycled wood from old Balinese fishing boats. Perfect to reuse it for your accessories – no need to trash it – you are doing a good job for your environment! You have the choice: Decide what fits you perfectly. 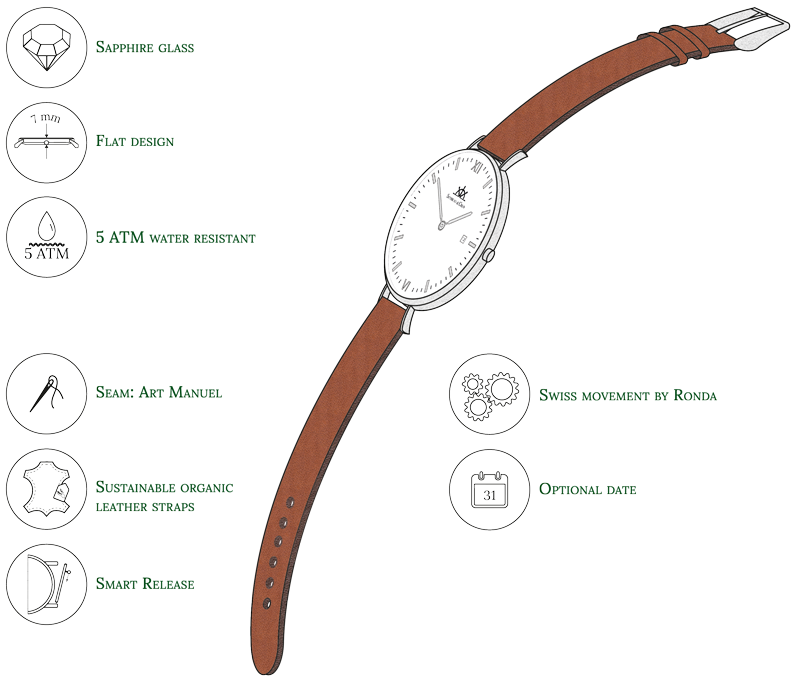 Simply choose one of our 16 watch variants and combine it with our straps. 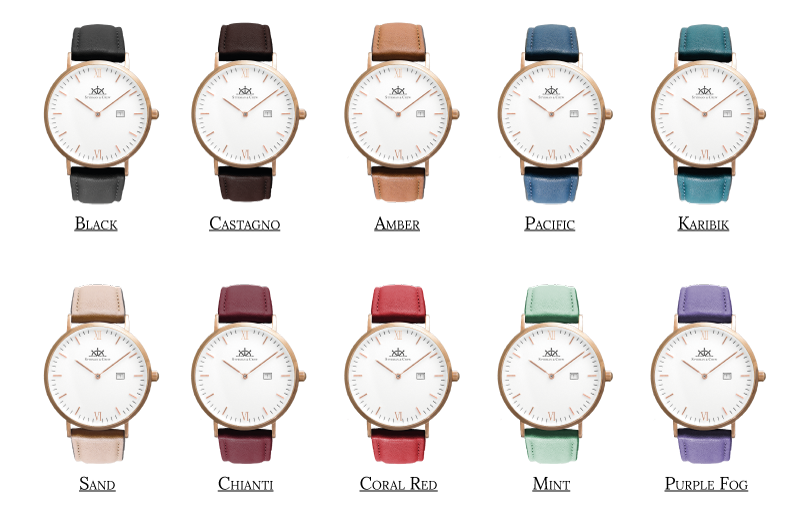 Take the elegant small case (36mm) for a slim wrist or select our bigger 40mm model that is more eye-catching. 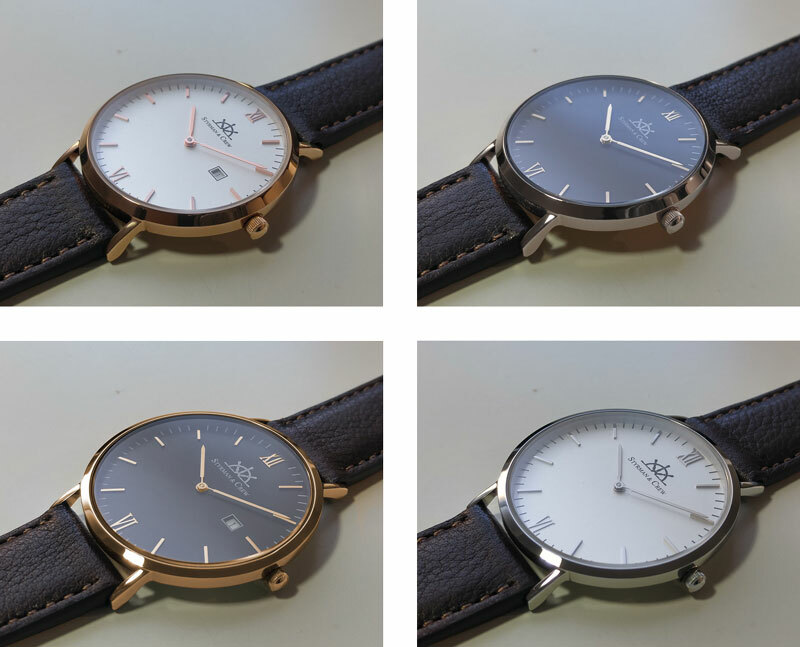 Each of them is available in rosé gold glossy and silver glossy case color. Combine the case with your preferred dial color, silver or black. As an option, you can add a date to your Styrman. Our organic and sustainable leather is certified according to Biokreis, Ecarf and IVN. Tanned with fruits and bark instead of chemicals and chrome. Explore our configurator and choose the model that fits you perfectly! 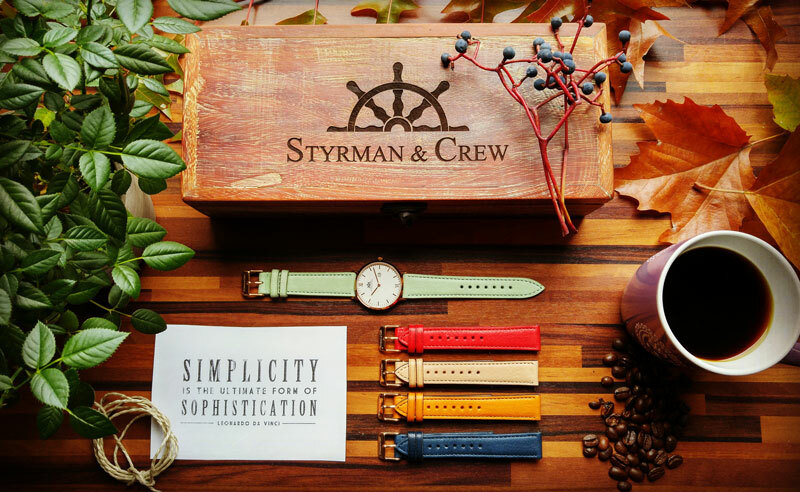 We founded Styrman & Crew to realize our ideas with an everyday product and to enthuse people all over the world with our vision. If you would like to get in contact with us, feel free to email us at hello@styrman-crew.de.